Founded in 2015, Tryanuary is a nationwide campaign, implemented to encourage support for beer producers and suppliers throughout the month of January. The founders of the campaign hope to encourage the nation to support their local businesses including breweries, pubs and bars throughout this usually challenging month. Take a look at some of our top-rated craft beers for you to look out for in the month of January. Make sure to ask your barman for recommendations as well, as it could well just take you out of your comfort zone into hoppy new heights. This fruit-infused beer is flavoured with sea buckthorn and sea salt, which whilst giving it a distinctive flavour, doesn’t overshadow the taste. This drink is certainly great for the inner seafarer in all of us. A hoppy pale ale with a slightly bitter finish and definite fruity and herbal notes. This drink has a smooth finish and is very drinkable. The perfect accompaniment to a meet-up with friends, having alongside a meal and if you’re looking for a drink that’s not too heavy. This stand-out beer is a unique shade of red with vanilla, cherry and white chocolate overtones. If you don’t have a sweet tooth, fear not, it certainly isn’t as sweet as it sounds. If you’re the adventurous sort, this could be worth giving a try. A dark, ruby-hued beer combining a slight bitterness with chocolate and roasted malt overtones. The Leeds Brewery was launched in 2007 by two former employees who have since opened seven pubs; such is the popularity of their product and service. This sweet-smelling beer has made its way into our good books with its smooth, sweet offering with very little bitterness. Perfect to enjoy by a roaring fire whilst keeping out of the cold. So why not have a go this January and visit your local pubs whilst they’re quiet to try some of the delicious beers, ales and lagers they have on offer? 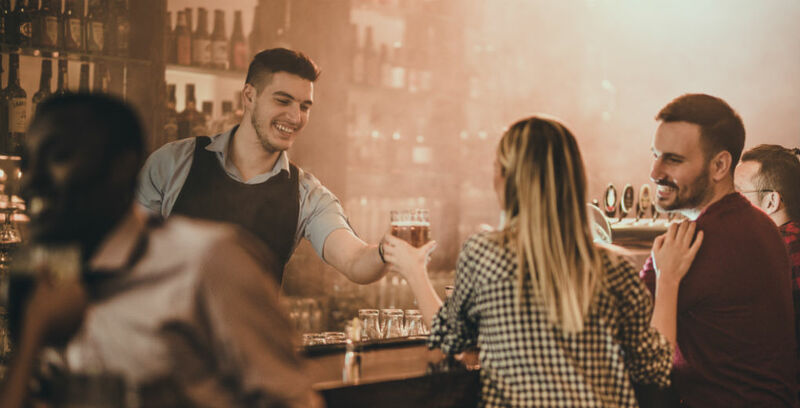 If you’re in the business of producing, serving or transporting beer or other food and drink offerings, have you thought about checking your insurance is up to date? January is the perfect time to ensure that you’re still covered for what you need, including any changes you’ve made in the past year. Contact one of our team at R COLLINS & CO on 01977 558391 to review your existing insurance cover and for advice on potential changes you could make.